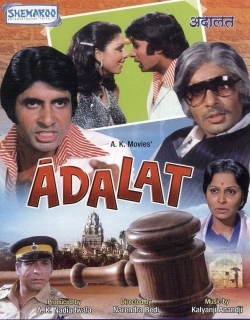 Adalat is a 1977 Indian Bollywood social film released on Jan 07, 1977. 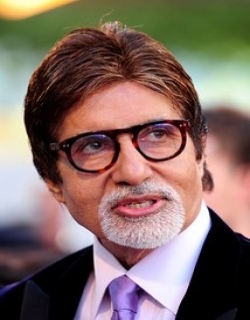 The film is directed by Narendra Bedi, produced by A. K. Nadiadwala. Dharam, a poor but honest farmer,takes up to crime when he is wrongly convicted and sentenced on the false evidence given by Ajit Singh. Dharam, becomes a big smuggler. His son Raju makes a vain bid to make his father change his way of life. 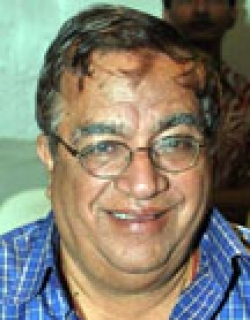 In the final clash between Dharam and Ajit Singhs gang Dharam gets killed. Check out this page for more updates on Adalat. Dharma Ki Adalat is great!!!!!!!!!!!!!!!!! This page provides latest and updated information about Adalat (1977) movie which released on Jan 07, 1977. 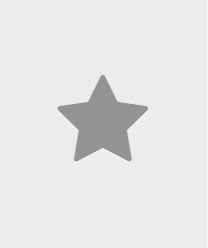 Adalat (1977) is directed by , produced by , starring .We have also provided 0 trailers and videos, 4 photos, 32 user reviews, and 0 critic reviews.Adalat (1977) has received 2.9 rating from user reviews.The overall rating of Adalat (1977) is 58 and movie is 2.9.You can review, like, dislike this movie and also can add to favorites. You can also find information on showtimes, CDs, DVDs, online rental, online free watching.